We’d love your help. Let us know what’s wrong with this preview of Sparrow in the Wind by S. Rose. To ask other readers questions about Sparrow in the Wind, please sign up. I recently read Sparrow in the Wind, by S. Rose, with my high school book and writing club. We all loved it! The members range from grades 9-12, and represent a wide variety of interests and ability levels. Each student said that he/she could relate to this novel on some personal level, as it explores a number of universal themes, and controversial issues that are as relevant today as they were in 1962 when the story takes place. The author's style is fresh, creatively descriptive, and insightfu I recently read Sparrow in the Wind, by S. Rose, with my high school book and writing club. We all loved it! The members range from grades 9-12, and represent a wide variety of interests and ability levels. Each student said that he/she could relate to this novel on some personal level, as it explores a number of universal themes, and controversial issues that are as relevant today as they were in 1962 when the story takes place. The author's style is fresh, creatively descriptive, and insightful—a great read for everyone from teens to the elderly. I plan to teach Sparrow in the Wind as a contemporary work of classic American literature. I borrowed a copy from a friend. The author is a skillful artist, creating worlds inhabited by lifelike characters searching for their own space in the world around them. Set in the early 1960s, Sparrow in the Wind tells the story of ten-year-old Cassie, a girl with a family chocked full of secrets. Some of these secrets have the potential to tear apart the world in which she lives. But Cassie meets a young Indian girl named Sparrow, and life lessons are learned in ways that put the reader on se I borrowed a copy from a friend. The author is a skillful artist, creating worlds inhabited by lifelike characters searching for their own space in the world around them. Set in the early 1960s, Sparrow in the Wind tells the story of ten-year-old Cassie, a girl with a family chocked full of secrets. Some of these secrets have the potential to tear apart the world in which she lives. But Cassie meets a young Indian girl named Sparrow, and life lessons are learned in ways that put the reader on seat's edge. Will the girl survive? You'll have to read it to find out. Sparrow In The Wind tells the story of young Cassandra Parsons, a girl living with her parents in 1962 Wisconsin. As the story’s narrative voice, Cassandra shares her life’s experiences with readers, telling us about her move Sparrow In The Wind is the fourth novel I’ve read by S. Rose. The middle two books, while well written and entertaining, are science fiction. I’m just not a big fan of that genre. This most recent novel—along with her debut title—falls into my favorite genre: coming of age. 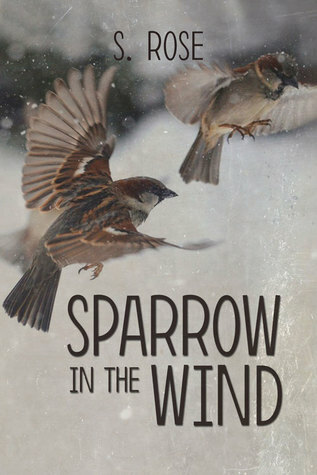 Sparrow in the Wind by S. Rose is an exceptional coming of age book. The main character, Cassandra Parsons lives with her parents in Racine Wisconsin in the 1960a. She does not feel close to her parents because they don't really show their affection for her. She has a Norwegian heritage and loves her Aunt Grundrun. Aunt Grundrun still has an accent, cooks from scratch, and shows her affection by the time and care that she takes fixing Cassy's hair. One day. her father announces that they are movi Sparrow in the Wind by S. Rose is an exceptional coming of age book. The main character, Cassandra Parsons lives with her parents in Racine Wisconsin in the 1960a. She does not feel close to her parents because they don't really show their affection for her. She has a Norwegian heritage and loves her Aunt Grundrun. Aunt Grundrun still has an accent, cooks from scratch, and shows her affection by the time and care that she takes fixing Cassy's hair. One day. her father announces that they are moving to the back woods so that he can help his father. He closes his business and plans to repair the shacks that his father rents out. Cassie will be losing all her friends and is shocked by her father on the trip. A bond starts to build between her mother. She finds a new friend, Sparrow in the Wind (Ojiwa name). Together they find out secrets of their families and Cassy becomes mature. Able to give her parents love and understanding and stand up against the wrongs of the past and present. S. Rose wrote this book with great intelligence and sensitivity. This story seems so real to me and kept me so engaged through out the story. She is truly a very talented storyteller. I hope that she writes more books in this genres or other genres that include family history. She has written a treasure of a book. I highly recommend it. I received this book as a win from FirstReads but that did not influence my thoughts in this review. This is such a wonderful and bittersweet story. The portrayal of the 1960ies has an amazing authenticity that engulfs the reader immediately. Transported into the childhood of our protagonist Cassandra the narrative shines with an equally inspired voice. The perfect setting for a childhood friendship, innocence and its eventual loss. Rose does a marvellous job at portraying a Norwegian family with great accuracy of cultural idiosyncrasies without reducing them to boring stereotypes. The main chara This is such a wonderful and bittersweet story. The portrayal of the 1960ies has an amazing authenticity that engulfs the reader immediately. Transported into the childhood of our protagonist Cassandra the narrative shines with an equally inspired voice. The perfect setting for a childhood friendship, innocence and its eventual loss. The main characters are very well drawn and likeable, the prose elegant and evocative. One of the characters has haemophilia, a rare condition that I have some knowledge of. The author clearly has, too. I’ve enjoyed finding this lesser known subject as part of a novel. The book is very moving and rewarding until the last word of the epilogue that ties up everything beautifully. A book of high literary quality that I can’t recommend enough. Rose's descriptive prose is lyrical and deeply affecting. Her characters sprang off the pages and the action never slowed down. My only complaint is that some of the dialog didn't feel natural. When Cassandra and Gudrun discussed Cassandra's parentage, and when Cassandra and Tina rehashed George's family history, the dialog was stilted and unnatural. The dialog between Cassandra and George in the epilogue was wonderful and Gudrun's written account of her history was very moving. Wow,what an awesome book! I won this in a Goodreads giveaway & I absolutely loved it. One of the best books I've read! I love stories that take you back to remembering your childhood....I love the story this tells. I felt almost every emotion while reading this....I laughed,cried,worried,was nervous...all due to great writing! The author really made me feel this story! I won Sparrow In The Wind in a Goodreads giveaway! And I am so very happy That i did!!! What an AWESOME book!!!! I loved it!!! I highly recommend this book, once you start reading it you wont want to put it down!!! This is a Goddreads win review. This is a cute coming of age story of 10 year old Cassandra in Racine. Wisconsin. Then she has to move and becomes isolated but she meets an Indian girl named Sparrow and they forge a close bond.